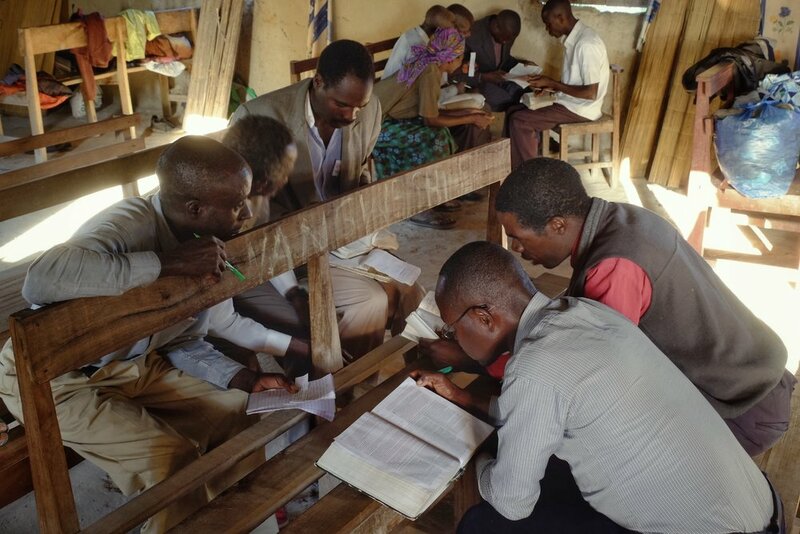 Students in Nangweshi, Zambia share Bibles as they search the Scriptures in a break out session. Tonight Abby and I leave for Zambia and Namibia. We’ll be training in three locations, Nangweshi and Livingstone, Zambia and Katima Mulilo, Namibia. In Nangweshi, we’ll be completing Phase 3, in Katima Phase 2, and in Livingstone Phase 1 of our three phase training. It promises to be an exciting and transformative few weeks. We can’t wait to see our old friends and look forward to meeting new ones! Abby’s foot reconstruction surgery has been a success, and her surgeon has given her the green light for travel. We’re grateful for all your prayers and personal encouragement over the last few months. Thank you! As always, we’ll be reuniting with our dear Zambian friend, Percy Muleba, and will team teach in all three locations. Please pray for Percy, his wife Muyunda, and his children Natasha, Thabo and Nsala as he travels with us. I’ll do my best to blog while we’re away, but am always at the mercy of internet availability. Please be sure to check back from time to time to see if I’ve been able to update. In addition, I will try to post to Instagram @dougvinez. We’ll miss our family big time, as we always do, and we’ll miss you, too. Please cover us with prayer for safe and uneventful travel, good health, God-ordained connections, dealing with the heat wave that’s blanketing the area, and ,most importantly, transformed lives! A Picture's Worth 1000 Words!